I hope everyone had a wonderful Thanksgiving! It’s hard to believe the holidays are already upon us and 2016 is just around the corner. Evan and I made our annual pilgrimage to the East Coast for Thanksgiving and had the opportunity to visit a ton of family and friends during our week-long vacation. It was a treat getting to see so many people that are dear to us. We even got to meet a couple of new friends. I got to meet our friend’s baby girl, Emily, for the first time and we both got to meet our friend Nik’s shiny new fiancée! When we weren’t driving from one town to the next WE WERE EATING. We ate so much food… I know it was Thanksgiving and all, but it feels like the eating never stopped! You name it, we had it: pork roast, freshly-made ravioli, burgers, cheese fries, pizza, gelato, brownies, pies (yes, that’s plural), turkey noodle soup, and of course, Thanksgiving dinner. And then some more pie. Oh, and there were homemade cinnamon-raisin rolls too! Before we left, we hosted a small “Friendsgiving” here in Chicago. We made all of the fixings: turkey, gravy, mashed potatoes, sweet potatoes, stuffing, green beans, and cheesecake for dessert. Evan handled most of the cooking. He did an excellent job, especially on the gorgeous thirteen pound turkey he roasted! After eating leftovers two nights in a row, we still had quite a bit of turkey left. 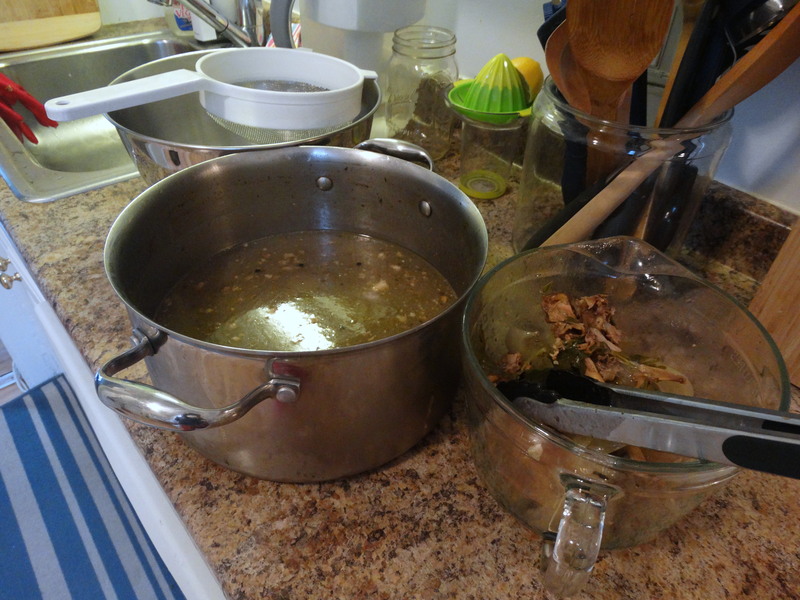 I asked Evan to set the carcass aside and decided to make some homemade stock. 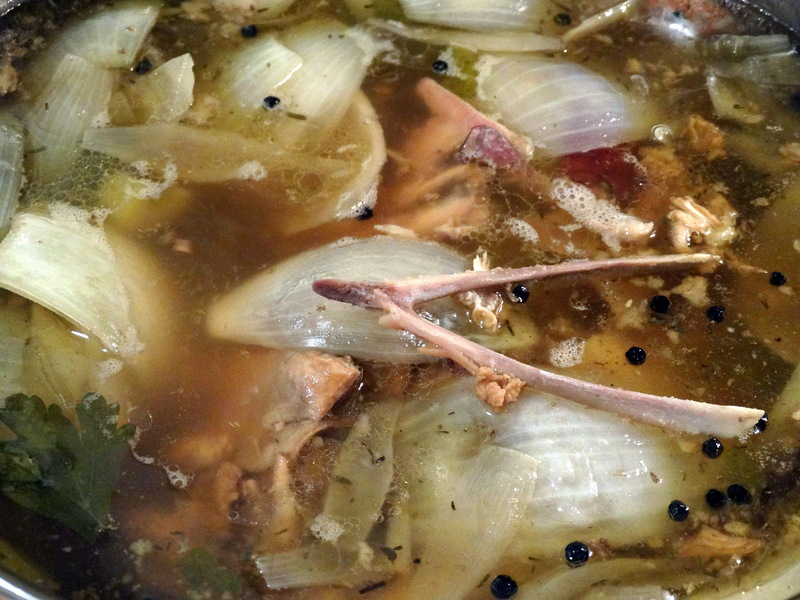 Next time you make a turkey or chicken at home, try making your own stock. It will make the house smell amazing all over again and will provide the base for any number of other recipes you may want to make. In addition to your turkey carcass, you will need cold water, celery, carrots, onions, fresh parsley, peppercorns, salt, and dried thyme. 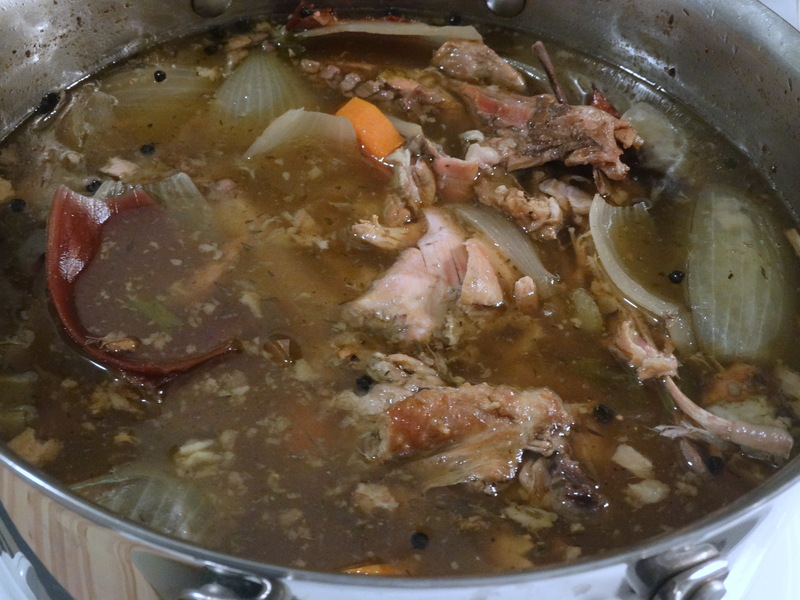 The carcass should be mostly stripped of meat and put into a large stock pot. If you can, break the backbone. It will add more flavor to your stock while simmering. Pour 16 cups of cold water into the pot and turn the heat on high. Clean and chop 2 celery ribs and 2 carrots. Leaving the skins on, quarter 2 onions. Place all of these into your stockpot along with 10 sprigs fresh parsley, 1 tablespoon peppercorns, 1 teaspoon salt, and 2 teaspoons dried thyme. Once the water boils, reduce the heat to a low simmer. 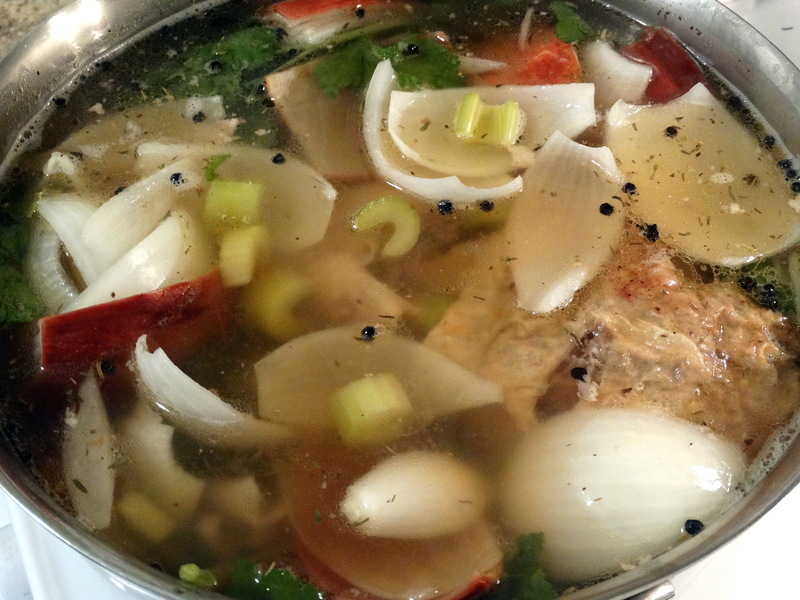 The longer you let the stock simmer, the more concentrated and flavorful it will become. Once you have the desired level of liquid remaining, turn off the heat. Taste your stock and add more salt if desired. Remove and discard the larger pieces of the carcass and vegetables with a pair of tongs. Place a mesh strainer or colander over a large bowl. Pour the stock through the mesh to remove the smaller bits of food. I repeated this process to ensure all of the food, veggies, and herbs were removed. Once the stock has cooled, pour it into your preferred storage container and refrigerate overnight. Use a spoon to skim off any solidified fat that gathers at the top of your stock. You can use it right away, or freeze it for future use. Enjoy! What did I use my stock for? I made a huge batch of turkey noodle soup! 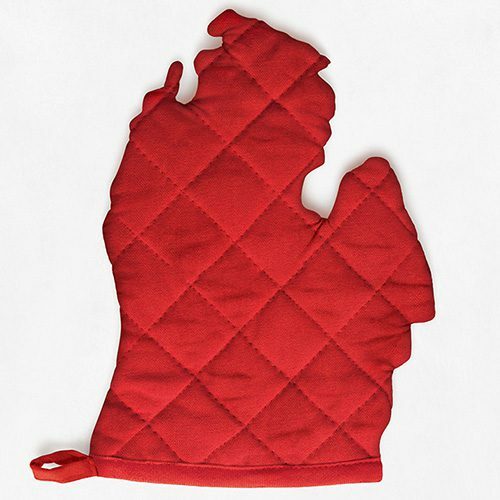 Check back next week to get that recipe. 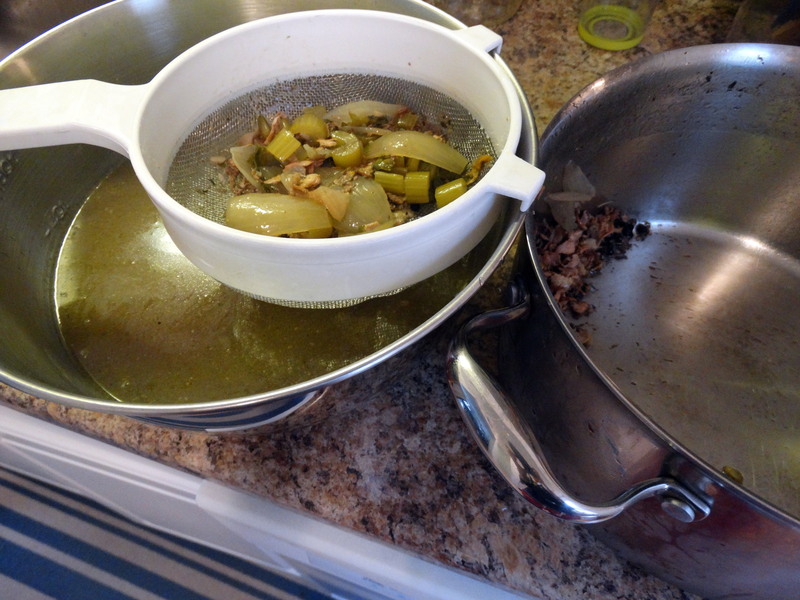 1) Strip your bird carcass of as much meat and fat as you can and place it in a large stock pot. If you can, break the backbone. It will add more flavor to your stock while simmering. Pour 16 cups of cold water into the pot and turn the heat on high. 2) While the water is heating, clean and chop 2 celery ribs and 2 carrots. Leaving the skins on, quarter 2 onions. Place all of these into your stockpot along with 10 sprigs fresh parsley, 1 tablespoon peppercorns, 1 teaspoon salt, and 2 teaspoons dried thyme. Once the water boils, reduce the heat to a low simmer. 3) Simmer uncovered for about 4 hours, giving it a stir from time to time. Once you have the desired level of liquid remaining, turn off the heat. Taste your stock and add more salt if desired. Remove and discard the larger pieces of the carcass and vegetables with a pair of tongs. Place a mesh strainer or colander over a large bowl and pour the stock through the mesh to remove the smaller bits of food. 4) Once the stock has cooled, pour it into your preferred storage container and refrigerate overnight. Use a spoon to skim off any solidified fat that gathers at the top of your stock. You can use it right away, or freeze it for future use. Enjoy! 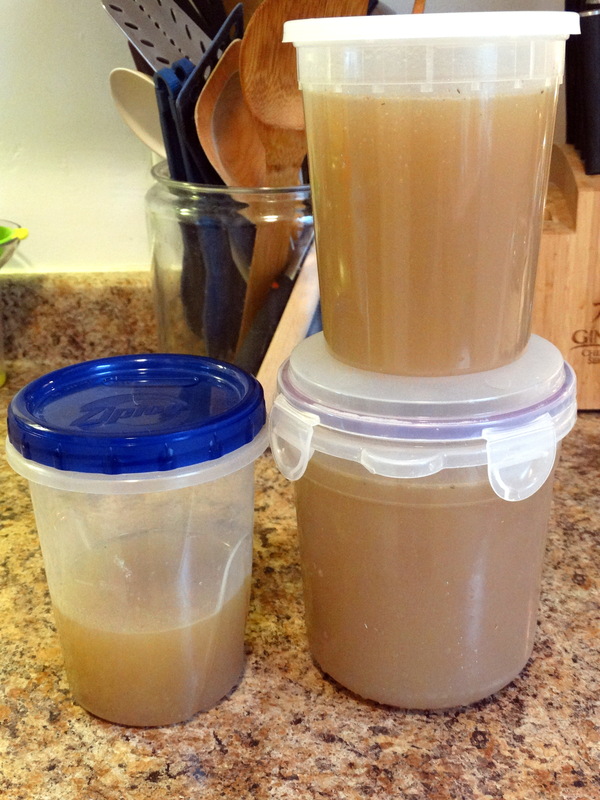 I love making tons of turkey stock and freezing it for future use so that I never have to buy the canned stuff!